Available in Apple’s App Store and Google Play, the app allows you to search the directory and connect via LinkedIn to other Ashley Hall alums worldwide—all from the palm of your hand. Who can access the Ashley Hall Alumnae App? Only Ashley Hall alumnae are allowed to access the app. However, you won’t be able to gain access if your email address doesn’t match one that Ashley Hall has on file. If that happens, please email the Alumnae Relations Office at alumnae@ashleyhall.org to share an updated email address. If you’re using an iPhone, iPad or iPod Touch, search for Evertrue in the App Store to access the Ashley Hall Alumnae Directory App. If you’re on an Android phone or tablet, download the Alumnae Directory App from Google Play. Start the app and enter your name and email address. 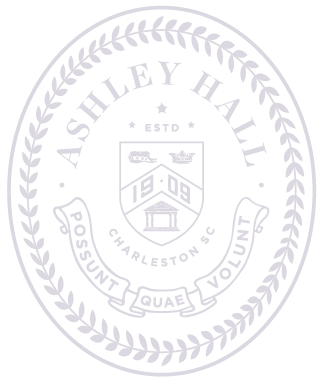 If your email address matches what Ashley Hall has on file, you’ll receive an email with a verification link. Open that email from your mobile device and click the link to gain access. Note: Your login is valid for 90 days. After 90 days, you’ll have to repeat this process to re-authorize your device. What personal information is available for other alumnae to see? The information that is included within the Alumnae Directory App is name, Ashley Hall class year, email, phone, addresses and employment history. Visit your profile page within the app to choose what information you wish to share with the rest of the alumnae community. Yes, it is easy to update your contact information within the mobile app. From the app’s homepage, tap your name. Then tap “Update this profile” at the bottom of your profile, note any changes that need to be made and those will be forwarded to the alumnae office and will appear in the app within a day or two. To suggest an update for a classmate, click the “Update this profile” button at the bottom of their profile and fill out the form. Yes, simply enter your class year in the search field of the directory. From the app homepage, tap the gear icon in the top right corner and select the option to connect with LinkedIn. Once you’ve connected your LinkedIn profile, you can begin to connect with other Ashley Hall Alumnae directly through the app. You can also invite alumnae to download the app if they are on your list of Facebook friends or among your LinkedIn connections. How do I locate alums outside of my current location? No. The location information is based on home and employment address information in our database.